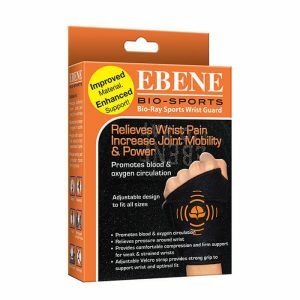 The Ebene Gloves with Bio-Ray Technology are designed for those struggling with pain or coldness in the hands. These arthritis gloves will relieve pain and numbness in the hands due to the Bio-Ray Technology. This technology is manufactured to give low levels of radiation, comparable to the far infrared rays from the sun. 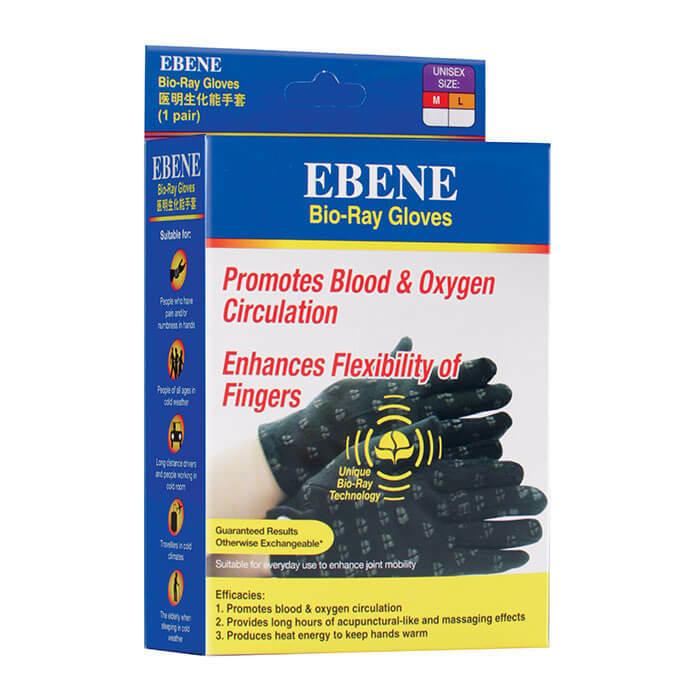 Often, pain is caused by poor circulation of blood and oxygen, these heated gloves will provide more energy and as a result a better circulation throughout the hand, which relieves pain and numbness. The gloves with bio-ray technology are currently available in size M. They are ideal for those working or travelling in cold climates and it supports flexibility in the fingers for those who are using their hands for long hours, such as typing and driving. By creating heat energy instead of preventing coldness, the gloves are better suited for keeping hands warm instead of normal leather gloves. Reduces pain & numbness in hands, the gloves can be used as arthritis gloves. 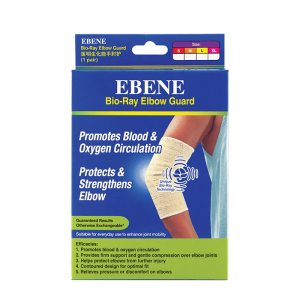 Penetrates deep into the muscles and bones (20 mm) to support blood and oxygen circulation. Can be worn while sleeping, especially by the elderly. 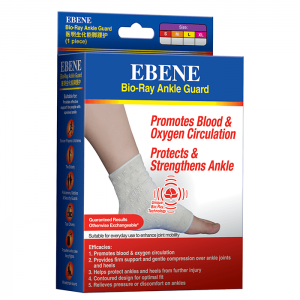 Provides long hours of acupuncture and massage-like effects. These heated gloves produce energy to keep hands warm. Proven to keep hands warmer in cold climates instead of leather gloves. Pull it over fingers and slip hand over glove. Ensure fit is snug. Measure the length between palm and middle finger. M Measure the length between palm and middle finger.